The Dubai police recently warned people that cyber criminals can use public WiFi networks to steal people’s personal information, including bank account details, pictures, and passwords. Proving that the police’s concerns are true, a Dubai-based woman recently complained that criminals had hacked her social media accounts when she was “logged into a free WiFI network”. The hacker asked the woman for a ransom to restore her accounts. While free WiFi networks can be dangerous, you will be surprised to know that a majority of the people in the UAE said they “wouldn’t think twice” before logging on to a public WiFi network, according to the 2017 Norton Wi-Fi Risk Report. Even more shockingly, 87% of these people agreed to potentially putting their personal information at risk while using public WiFi. According to the report, over 66 per cent of respondents in the UAE confessed that think it is ok to ask for the Wi-Fi password at public places such as restaurants, airports, hotels, and baristas, or at a friend’s place. Many among these people said that they don’t even hesitate to check their bank accounts through public WiFi networks! How is Data Stolen through a Public WiFi Network? It’s much simpler than you might think. In fact, there are numerous video tutorials online explaining how one can hack personal information on a public WiFi network! One of the most common hacking methods is called Man in the Middle, a simple trick through which a criminal can access your device by making his device look like a public WiFi access point. Once you login to the ‘network’ created by the criminal, that person can have free access to all the personal information in your device. Another technique of stealing your data through WiFi is known as the Evil Twin. Through this trick, anyone can create a duplicate of a commonly used public WiFi network. e.g. if you are at Gloria Hotel, the name of the criminal’s WiFi network will be ‘Gloria Hotel Ext’, and you will log in to it thinking it belongs to the hotel you just checked into! 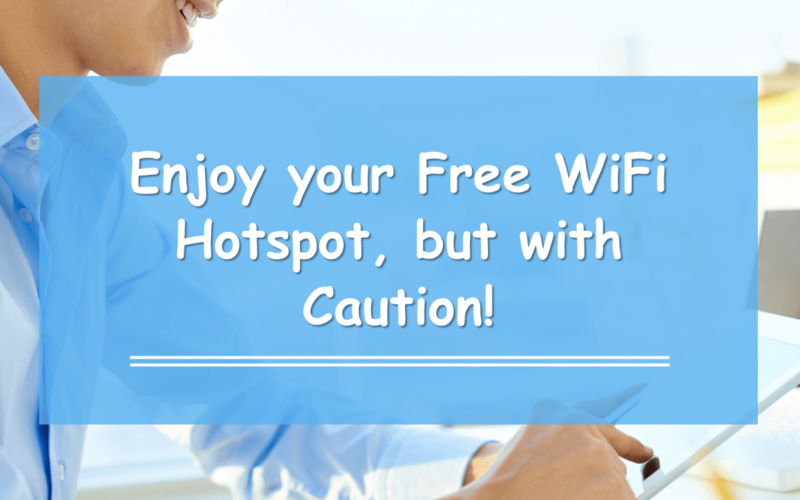 How can you Stay Safe while Enjoying Public WiFi?